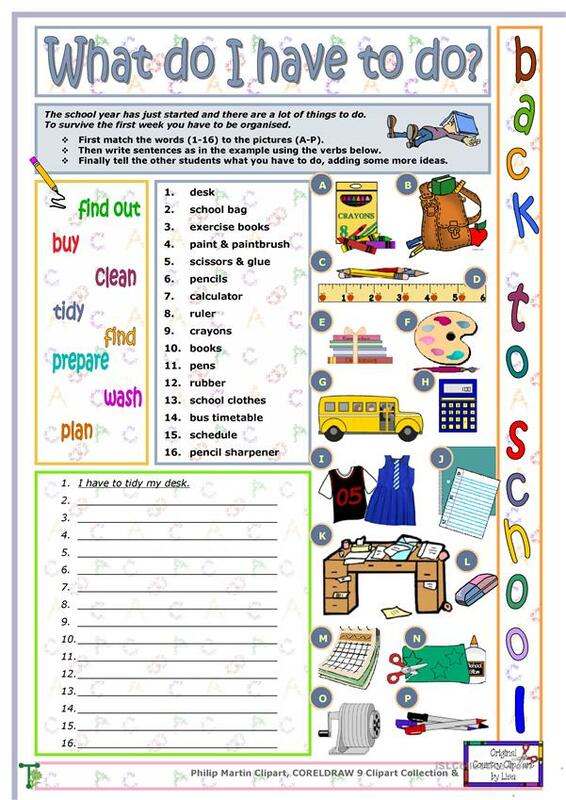 During the first week of school you can practise and revise some vocabulary and grammar with the help of this worksheet and at the same time give some useful advice to students how to be organised and prepared for school. The present printable, downloadable handout is best suited for elementary school students at Elementary (A1) and Pre-intermediate (A2) level. It is great for practising Modals in English, and can be used for working on your learners' Speaking and Writing skills. It features the topic and words of School.